Though he has faithfully practiced painting for thirty-five years, Guillermo Pérez Villalta considers himself a conceptual artist. Painting is, for him, the simplest and most direct way to convey ideas about art, representation, and the task of the artist. Often involving sophisticated references and allusions that are difficult to unravel, his work has always attempted to balance intellectual games with sensuality; his paintings, one might say, possess a thoughtful beauty. 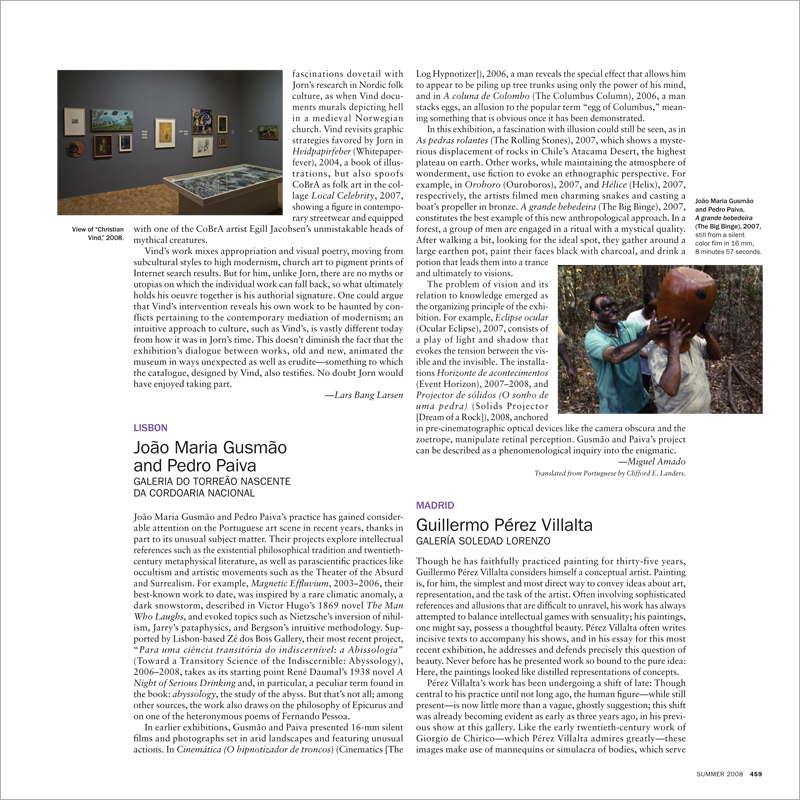 Pérez Villalta often writes incisive texts to accompany his shows, and in his essay for this most recent exhibition, he addresses and defends precisely this question of beauty. Never before has he presented work so bound to the pure idea: Here, the paintings looked like distilled representations of concepts.